I encountered word sarissa in a book in Ancient Greece setting. When I looked the word up in OED I found no entry for it and proceeded to Google. There I stumbled across Wikipedia article on Macedonian weapon called 'sarissa' which, according to the defenition from Wiki, "was a long spear or pike about 4–6 metres (13–20 ft) in length." The weapon was used in Macedonian phalanxes as a replacement for dory. I suggest adding the entry to the dictionary using the definition from Wikipedia or the original source. The article itself can be found here. Checked 13.06.2018 10:25 GMT. But the word is in the OED. A long lance used in the Macedonian phalanx. 1736 tr. C. Rollin Anc. Hist. VIII. 146 They..broke the Sarissæ or long spears of others. 1856 G. Grote Hist. Greece XII. ii. xcii. 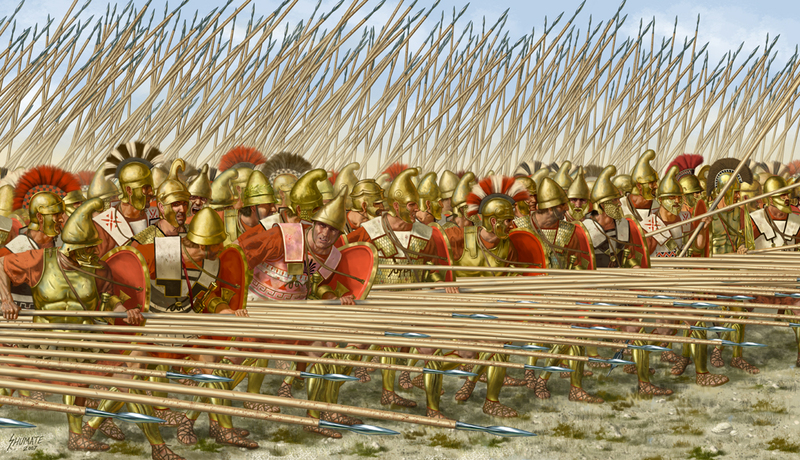 77 The sarissa of this cavalry may have been fourteen feet in length. To DavidCrosbie: Yes, indeed. But the word cannot be looked up by a query 'sarissa' or 'sarisa'. Prooflinks: sarissa, sarisa. We've let our editorial team know that this word is missing from the en.oxforddictionaries.com site. To joughtred: Well then, I have a bit exaggerated the severity of the situation, sorry for that. And also thank you for the clarification about the difference. I want to say that I enjoy using this site very much, and appreciate it is totally free for public use! As for the topic, the problem is solved and I think the thread will be closed soon.